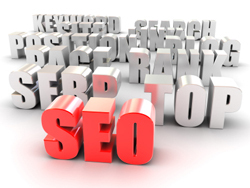 Search engine optimization (SEO) is among today’s most powerful marketing strategies. However all too often, Internet marketing companies over-promise and under-deliver. WeSprout has been a leader in search engine optimization for the past 5 years. We have developed a suite of proprietary strategies which have consistently yielded results of increased traffic by 1400% – 7600%. While we cannot guarantee every client, in every industry, will have the same results, we can guarantee we will develop an impeccable search engine optimization strategy which will position your company for the most possible success. Best of all, every result is verifiable and measurable. Let us help you make the most out of your website and start connecting with new customers.